so I thought I'd write a quick blog on my favourite lipsticks at the moment. 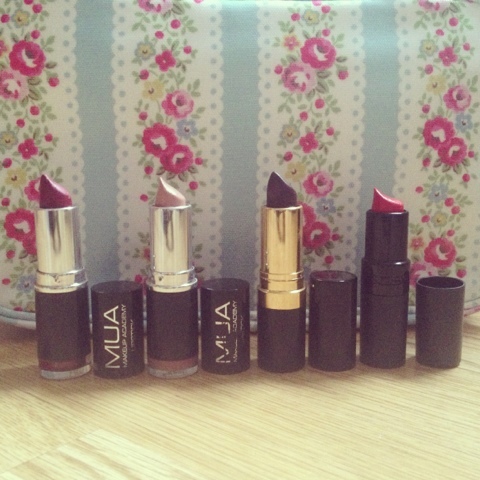 my favourite make at the minute is MUA not only the shades but they are so cheap too! this lipstick looks so nice on it's always a toss up between this shade or the MUA bare. 3rd lipstick - REVLON, 477, BLACK CHERRY - £7.49. All purchased from Superdrug store.